In my recent Bangkok trip, I hardly hauled anything because I am not exactly a person who shopped for clothings. Other than a pair of heels and belt that I bought for myself, my major haul will be SUQQU! Yes, I told BC, we NEED to go to Isetan at CentralWorld because I MUST check out this cosmetic brand. Haha. I only bought 2 items which is Christmas set A (which I will review later) and Balancing Cheeks 02 Mukuge. Balancing Cheek comes with a blush and highlighter. The sleek black plastic case looks pretty chic and also comes with a small brush which I am very impressed with how soft the bristle is. I chose 02 Mukuge because it look slightly peachy pink so is the shade that I always use. 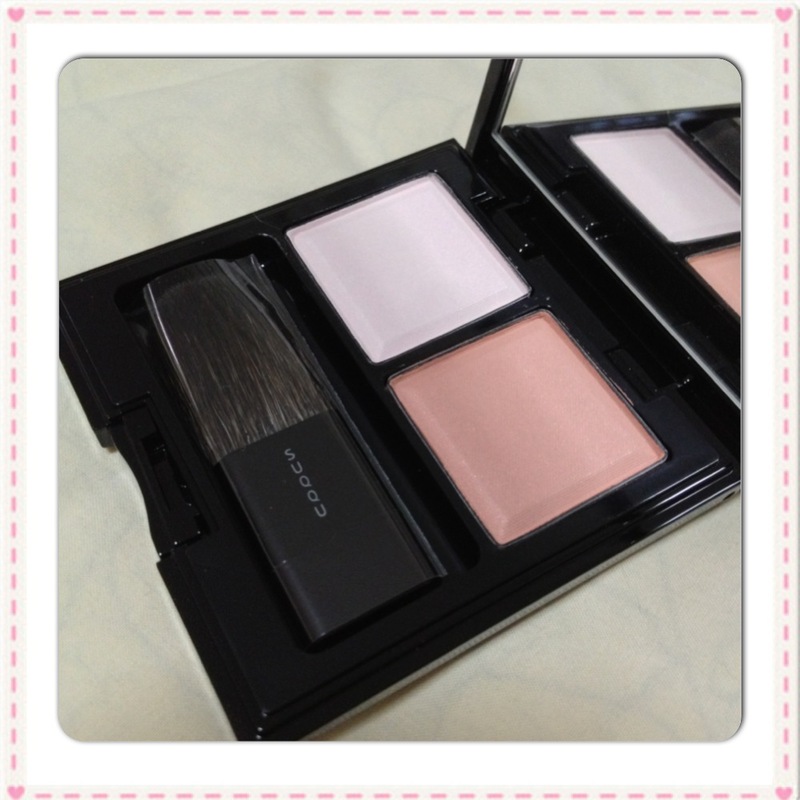 The texture of both the blush and highlighter is smooth and fine which is absolute heaven. Honestly, I don't think you can hardly see anything from the swatch above but believe me when I said this is after super heavy swatching to get the colour out. The colour is so natural that it blends in TOO well with the skin tone and just enough to give that subtle shade of colour. The highlighter is a TOTAL MISS for me, because as you can see (or not) above, you can't see anything right??? Yes, that was how frustrated I was when I was trying out the highlighter. The most frustrating part was despite the heavy swatching and yet still seeing nothing, the fall out of the glitter particulars is horrible. The brush that came along with the blush and also my MAC 129 brush just can't seem to pick up the particles. If I recalled correctly, SUQQU Balancing Cheek is retailing for THB2,950 which is more than SGD100. Despite having a 10% discount at Isetan when I purchased this, it is still not cheap considering Chanel blushes are only in the SGD60+ range. For the price I am paying, this blush is disappointing. I would get Tom Ford blush anytime. I have to agree that the colour is underwhelming. So sad! The two I own are pigmented and stand out, you can borrow them anytime dear. Such a bummer to pick an expensive dud. Aww I'm sorry to hear it doesn't work too well for you! I actually can see the highlighter, but you're right about them not being too pigmented. 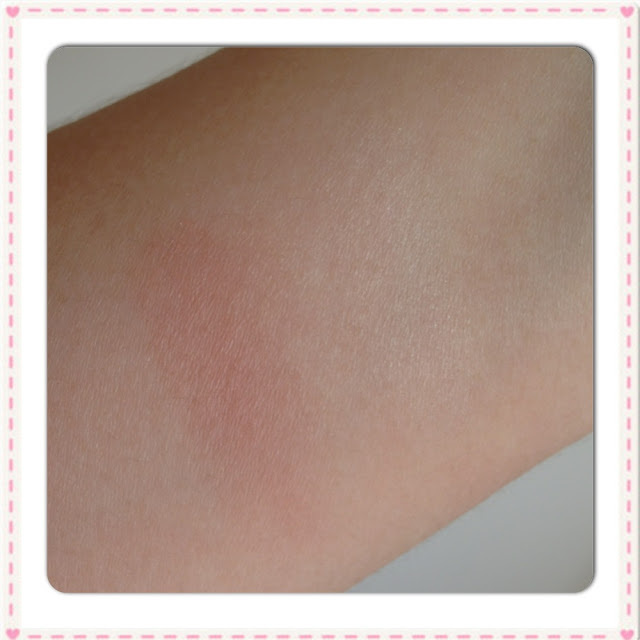 Sunny, their eyeshadow quads are much better and this is possibly the last blush I'm getting from SUQQU. Sorry to hear that your first Suqqu blush is such a let-down. Maybe you could experiment with different types of brushes to see if you could get better results? I wasn't impressed with the one lovely Elaine (of Elain-nio) lent me and I was rather disappointed by the one I got (Mizumomo). I found they didn't show up or blend well on my cheeks. Until recently, I (unintentionally) used Mizumomo with a blue squirrel brush (normally I use goat hair brushes for blushes) and boy was I surprised to see that the blush actually showed up much better and blended much better, and the colour actually looked much prettier on me. Nonno, thanks for the tip! Can I know which brand of blue squirrel brush did you used?